Sydney is home to many iconic sites, from The Opera House to The Blue Mountains, there are lots of 'must do's' for the first time visitor (and long time resident alike) to experience. The beautiful Harbour foreshore with its proximity to The Rocks area, the Harbour Bridge and the bustling wharf at Circular Quay are often at the top of the list. Catch a ferry to Taronga Zoo or Watsons Bay, or the RiverCat to Parramatta for a day on the water, especially when the sun is shining on a gorgeous Spring or Summer's day. 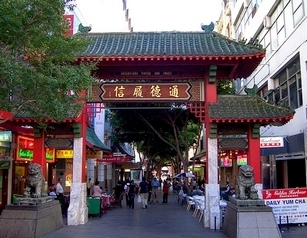 Darling Harbour and Chinatown present offerings at the Southern end of the CBD and The Cross and Rushcutters Bay have the Eastern side well covered. Around Hyde Park is St Mary's Cathedral and The Australian Museum. 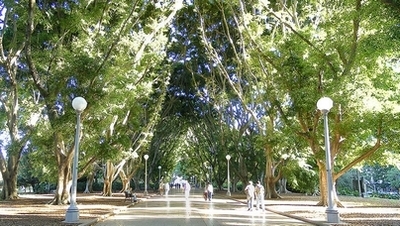 The Anzac War Memorial lies within the park itself and can be found amongst the magnificent fig tree lined pathways. Take a walk down Macquarie Street to see the Hyde Park Barracks, The Sydney Mint Museum, New South Wales Parliament House and The State Library. 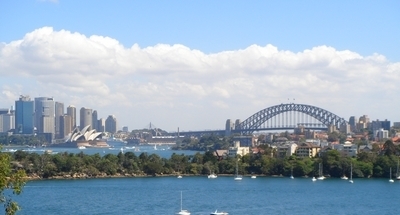 At the end there you will find the extensive grounds of the Royal Botanic Gardens with its unbeatable views of the Harbour from Mrs Macquarie's Chair. 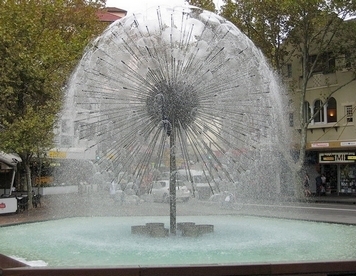 Moving away from the city area, we find Glebe, Balmain, and Newtown with their restaurants, cafes and interesting shops. You could easily spend a day walking around these areas exploring the quirky stores and cafes. 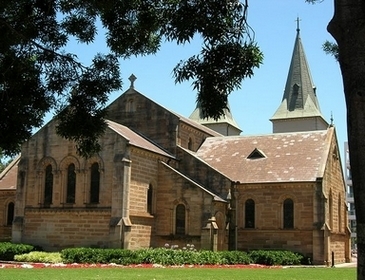 Parramatta is home to many historical sites such as St Johns Cathedral which is the oldest continuous place of worship in Australia and Old Government House and garrison buildings on the banks of The Parramatta River. Heading up in to The Blue Mountains, as the temperature drops a few degrees, the air takes on a freshness as you move up out of the Sydney basin. The quaint town of Leura is a lovely spot to stop for lunch and then you can take a ride on the Scenic Railway or Skyway from Katoomba and then stretch your legs on a bushwalk to The Three Sisters. Of course, this is but a small bite from the feast of sites and experiences that Sydney offers its visitors. Do you have some favorites to share? Catch the ferry from Circular Quay out to Watsons Bay for fish n chips on the wharf. wonderful views of the Harbour and wash down fantastic Doyle's fresh fish with a bottle of chilled Australian wine. For out of state or international visitors the best place is definately the Harbour Bridge Pylon Lookout. The last time I was there it was only $10.00ish each and on a clear day you can see forever. There are plenty of rest spots on the stairs for the walk up and down plus a heap of facinating facts about the bridge even a movie. I dont know if there is a lift but there are toilets at the top, along with a gift shop. The views are just as good as the bridge climb and you can get a great photo shot of the bridge arch in the back ground of your visitors for them to take home, plus you can stay along as you like there is none of the rush of the bridge climb. We recently returned from Cruising around New Zealand and befriended a delightful English couple who were flying out the same afternoon. We only had a few hours so, took them home for a cup of tea and an intro to how we live. We are only 7 minutes from the heart of the City. It was a sensational day. The sun was shining, the sky was blue, and the Harbour was sparkling! This was followed by a walk along Balmoral Beach, lunch at Bather's Pavilion, and a drive to Manly. It was all we could cram in before taking them to the airport. They didn't mind if we didn't make it to the airport! Kirribilli;Ripples at Milson's Point; Bradley's Point (Mosman) - then walk to Chowder Bay; Taronga Zoo - especially if it's summer time and they have twilight concerts; Ripples at Chowder Bay; or Burnt Orange at Middle Head. If you have more time, you could drive North to Palm Beach: Stop at Jonah's (Whale Beach) for Breakfast, take a walk along Palm Beach and the Bay, followed by mid-morning coffee at Barrenjoey House. After that, double back to Mona Vale and drive via Church Point to Akuna Bay to check out the boats and plan your next Pittwater Getaway. Houseboats are easy if you're inexperienced. Continue on to West Head to enjoy a short bush walk or stroll, admire the expansive views and work up an appetite for lunch at either Cottage Point Inn or the more casual Cottage Point Kiosk. There is so much to do in an around Sydney itself without venturing too far. I always take overseas visitors on the Coogee to Bondi Coastal Walk. This is a fantastic way to show off some of Sydneys beautiful coastal scenery. Mount Tomah Botanic Gardens on Bells Line of Road (Suburb is Mt Tomah). The gardens are extensive and have a huge variety of exotic plants and different spots of the garden have different themes. There is a woodlands section, Japanese garden with carp in a pond, even a marshlands for carnivorous plants, a traditional English garden, and plenty more. The gardens overlook the district and it is a stunning view on a clear day. There is also a café to rest in for morning or afternoon tea, and conference rooms for hire. If you go in September you see the marvellous Waratah on display for Waratah's blooming season. You can buy plants from their nursery as well. I reiterate the gardens are extensive, so take sensible walking shoes! 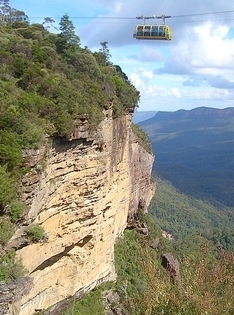 It is a must visit if you are going to the Blue Mountains but worthy of a day trip in itself. Walk around via Pyrmont Bridge to the fish markets for lunch. Great historic spots to see along the way and tastings of our wonderful fresh seafood. I recommend taking visitors obviously to all the landmarks like the opera house, sydney bridge etc... But also how about taking them to the Blue Mountains or take them surfing at Manley?! The Royal National Park. Any spot is beautiful and unique in there, inc great and spectacular walks along the cliffs / coastline north from Wattamolla to Bundeena, Audley Weir with the river and row boats plus picnic areas, Gerri Beach for surfing and further along into the rain forest areas out onto Stanwell Tops (Bald Hill Look Out) for Hang Gliding and then onto the Sea Cliff Bridge and the spectacular views walking back down the bridge after parking car. Then visit any of the magnificent little towns along that road over looking the cliffs for pubs and eateries on the way to Wollongong. A top day out in a unique part of Australia. As someone else already said, the Bondi to Bronte walk is unforgettable and really shows off the beautiful coastline. They have also improved the boardwalk now. Another amazing trip is to catch the ferry to Cockatoo Island and explore all the old buildings and parks. The kiosk near the wharf has coffee, sandwiches and chips which is handy when you're on an island! You can also camp there and there's lots of art events and concerts as well.